Honor 8 Tips and Tricks Hidden Features - Learn with us to know more about your Huawei Honor 8 hidden features and use with tips and tricks to the best settings for your phone. Honor 8 experts guide to mastering your new Honor 8 tips an tricks. If you're struggling to find tips and tricks that you should know about to make the most out of your new Huwawei phone. Enough to make you spin in circles trying to figure it all out for the best tips using your phone. Use the search feature in Honor 8 settings to search for menu options. Enter a search term (such as Sound). Your phone will display the search results; touch an option to access the corresponding setting. On the lock screen, swipe right on a missed call notification and unlock the screen. The dialer screen will be displayed; touch the corresponding number to return the call. Use a knuckle to take a screenshot of the whole screen, or part of it. Open Settings, and then select Smart assistance. 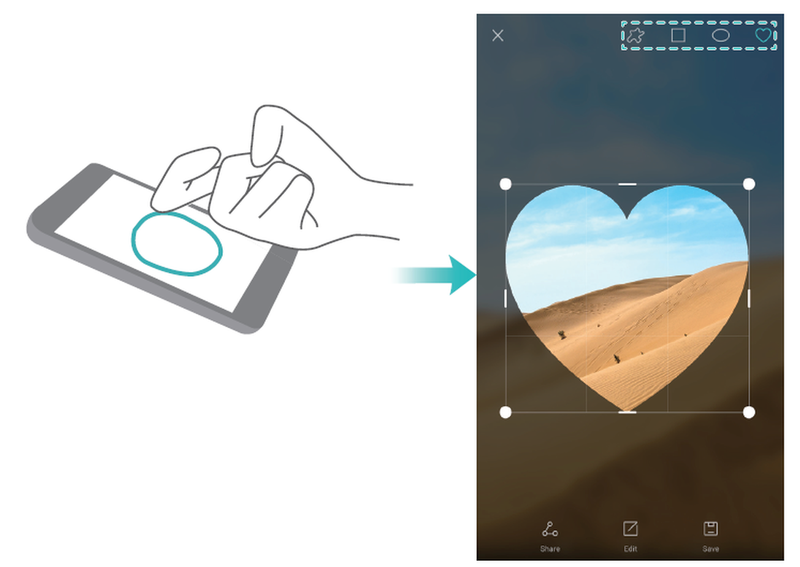 Touch Motion control > Smart screenshot and turn on the Smart screenshot switch. Knock the screen twice with your knuckle to take a screenshot of the whole screen. screen for different screenshot shapes. Touch to save a screenshot. By default, screenshots are stored in Gallery, within the Screenshots folder. After creating a screenshot, touch Share to share it with friends. Use the camera to take a photo of a business card. Your phone will recognize the contact details and add them automatically. Open the Contacts, touch Business cards > Scan. Share your QR card with your friends so that they can add you to their contacts quickly. On the contact details screen, touch the QR code at the top of the screen to display your personal QR code. say the name of the contact you want to call. Your phone will automatically call the contact. Open Dialer. Touch > Settings in the Dialer tab and turn on the Pocket mode switch. You can take rapid snapshots with your phone, even when the screen is off. When the screen is off, point your phone at a subject and press the volume down button twice. Your phone will take a photo and display how fast it was captured. Enable Honor 8 perfect selfie mode and customize the beauty settings to make sure you shine in group photos. In the camera application, go to Beauty mode, and then touch Perfect selfie. Turn on the Perfect selfie switch, and then configure your custom beauty settings. Next, switch to Beauty mode and touch to take a photo. Your phone will detect your face and apply your custom beauty settings to make you stand out in a group shot. Time-lapse mode lets you capture and accelerate subtle changes in scenery, such as a sunrise, sunset, or the movement of clouds. On the camera screen, swipe right to switch to Time-lapse. Hold your phone steady, and then touch to start capturing video. Taking photos while recording video, Ever wanted to take a photo during a video recording? On the camera interface, swipe right, and then select Video to start a video recording. While recording video, touch to take a photo. answer or reject the call. Go to Settings, touch Smart assistance > Voice control, and then turn on the Answer calls with voice control switch. Find your phone: Say "Dear Honor, where are you?". Your phone will ring to reveal its location. Make a call: Say "Dear Honor, call Jane". Your phone will make a call to Jane. Use the search feature to quickly find an application. 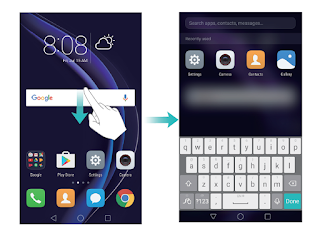 Swipe down from the middle of the screen to access the search bar, and then enter the name of the application that you are looking for. The search results will be displayed underneath the search bar. connection with the best signal and fastest data transfer speeds. Swipe down from the status bar to open the notification panel. In the Shortcuts tab, touch and hold and select Wi-Fi+. Turn on the Wi-Fi+ switch to enable this feature. Enable gloves mode so that you can continue to use your phone when wearing gloves. Open Settings, and then touch Smart assistance > Gloves mode. Press the volume button on the side of the phone, and then touch to adjust the ringtone, multimedia, alarm, and call volume. The floating dock gives you access to a number of frequently-used options and features, such as the back key, home key, and one-touch optimization. You can move the floating dock around the screen for easy one-hand use. Under Settings, select Smart assistance > Floating dock, and then turn on the Floating dock switch. Gaps may appear on the home screen after you uninstall applications or move them into folders. Use the automatic align feature to arrange applications neatly on the home screen. Pinch two fingers together to open the home screen editor. Touch More settings, and then turn on the Shake switch. 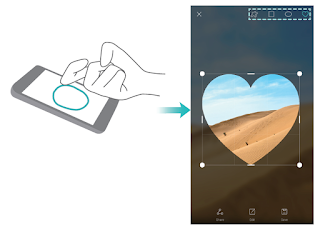 Touch and hold the home screen to open the home screen editor. Shake your phone to realign application icons and fill any gaps. Enable touch-disable mode to prevent unintended operations when your phone is in your pocket. Open Settings, touch Smart assistance, and then turn on the Touch-disable mode switch.